Today, technological advancements in the business sector are some of hardest to catch up with; in fact, according to a study conducted by Robert Half Management and published by Business Insider revealed that 41% of the interviewed CFOs cited tech innovations as one of the main causes of stress at work. The study says that these professionals believed that innovations in the accounting sector are so rampant they are finding it difficult to keep up with. But even with that, there are a few innovations that are worth every trouble…at least according to a decent number of accounting and finance professionals. Any idea which ones they are? Remember the days when you only knew of QuickBooks desktop or Sage as far as accounting applications were concerned? Up until a few years ago, the online versions of these and other accounting applications were unheard of in many businesses. However, today, cloud accounting is fast gaining momentum and most businesses are fast shifting to the online versions of their applications or to entirely new software solutions. This is because cloud-based applications mostly offer a one-stop-shop with features such as inventory management, payroll management, accounting and bookkeeping, and more. With cloud accounting, business information can be updated as soon as the transactions occur and anyone around the world can gain access to such information. OCR applications help convert printed/scanned images into user or machine-readable texts. Such systems are now making business accounting much easier by eliminating the need to manually enter captured data into a system. With this tech, companies can easily use scanners or phone cameras to capture accounting information such as invoices, receipts, agreements, and more then convert them into digital files. Ultimately, this improves the accuracy of accounting information and also saves time that would otherwise have been used keying in the data into the system. Also, it renders accounting data less susceptible to manipulation. This is indeed an era of integrations! Any business can now seamlessly integrate various solutions including the sales channels, the inventory tools, the workflow management tools and more, with their accounting solutions. This results in a unified way of exchange of business information which leads to better accounting and bookkeeping practices. Previously, businesses would have a lot of inconsistencies in their various solutions; for instance, it would not be surprising to find an inventory tool not agreeing with the accounting tool or the sales figures differing on two applications used by one business. This would take a sizable amount of time and resources to reconcile. Thankfully, with the recent partnerships by various solutions, businesses can now maintain accurate data that can be relied upon by decision-makers by seamlessly integrating a number of solutions. There you have it; of course, this list goes beyond the three mentioned accounting technologies, and that is why I’ll pass the baton over to you. 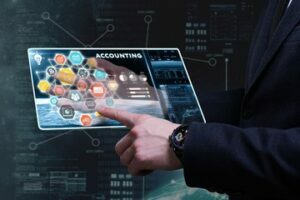 What are some of the best accounting technologies that you know of? We’d love to hear all about them in the comments section below!